A new bilingual journal focussing on the work of Samuel Beckett is now freely available to read online. 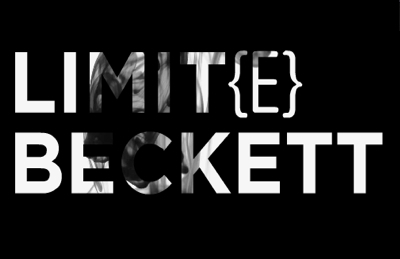 Limit(e) Beckett has launched its first issue with the proceedings of their conference Spectres de Beckett / Spectral Beckett, held in Paris in 2009. The idea of the ghost, or the spectre, has both a cultural and philosophical relevance in the wider academic community, and it's useful to see Limit(e) Beckett invigorating contemporary Beckett studies with its hands-on approach to recent debate. While to many the spectre is an emblem of the gothic tradition, its uncanny heritage seems to lurk in the various nooks and crannies of Western literature and philosophy. Emblems and motifs of haunting and ghostly return can be found just about everywhere, from the Shakespearian stage to Sigmund Freud's couch to Marxist revolutionary theory - ghostly emanations and spectral figures are never far away. In Limit(e) Beckett, the spectral becomes a useful framework for exploring a wide range of themes, from questions of literature and authorship, to debates surrounding politics, history and tradition - and much else besides. Having just begun a research project on Beckett, trauma and ghosts, this issue could not have come at a better time for me. But you don't need me to convince you of Limit(e) Beckett's impressive scope and ambition. 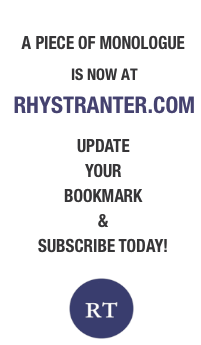 The first issue is freely available to read online, and even downloadable in a PDF format. Dirk van Hulle, on Beckett, Shakespeare and nothing. As if that wasn't enough, Limit(e) Beckett is already scouting talent for their second issue, exploring the role that cliché plays in Beckett's work.